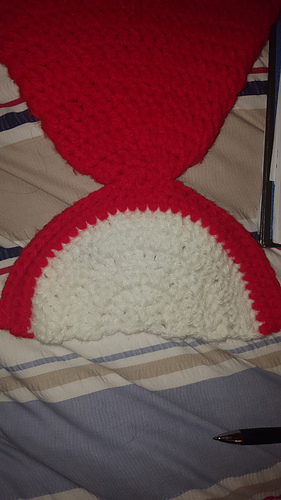 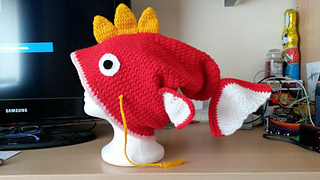 It comes in one size, for an adult, but you can adapt any basic beanie hat pattern if you want to make it for a child and use the parts for the fins/other details from this pattern. 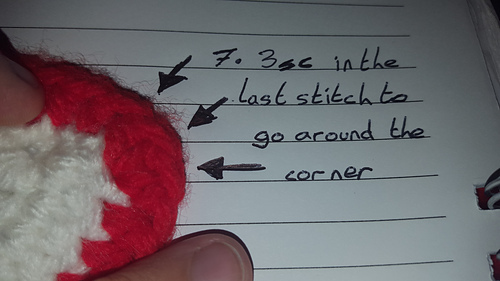 You will need 2xballs of the red yarn and 1xball of each of the other colours (although these bits don’t use nowhere near the full ball). 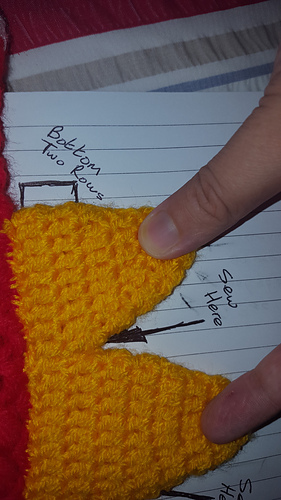 Materials needed are shown on the pattern, along with conversion charts for yarn/hooks.